A 70-year-old man left his entire village in utter shock when he cried till he died! 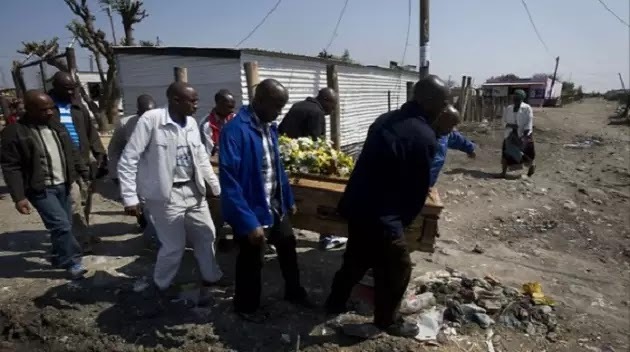 South African Joshua Bhebhe left his home around 8am heading to a funeral gathering. When he arrived, the old man was reportedly shocked by the death of a cousin. Deeply saddened by the sudden demise of his relative – Joshua could not control himself and cried uncontrollably until he collapsed and died on the spot. A reliable source from the village confirmed the incident revealing that Joshua mourned himself to death – and when elders checked on him, they found out he was dead. Police spokesperson, Sipiwe Makonese confirmed the incident saying: “ We received a report whereby a 70-year-old man died upon arrival at a funeral. The matter was reported to police and they swiftly attended the scene. No foul play was suspected,” said Asst Insp Makonese. Apparently, after the man died, other funeral goers immediately stopped crying – they were too scared to cry and could not risk dying from crying like Mr Joshua.